Reuters constructed this graph showing economic growth in Italy during the last five decades. Notice the constant declining in the trend growth. 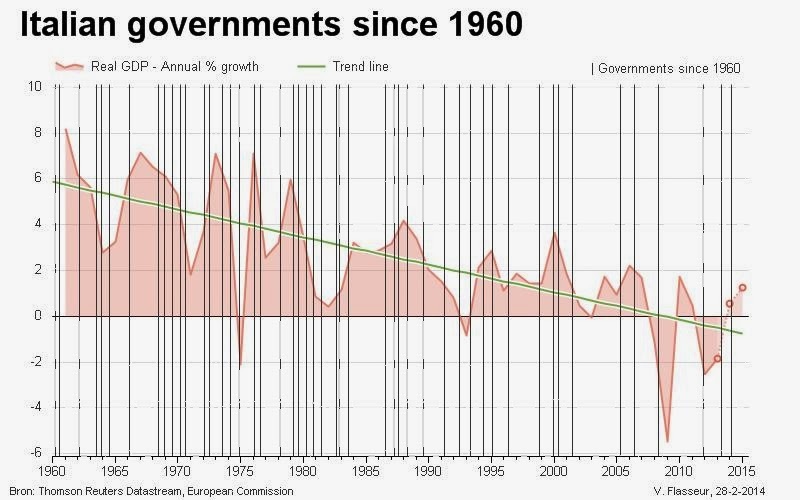 Also the beginning of each new government is depicted by the vertical lines.